Sky Music: A Tribute To Terje Rypdal and Sky Music: A Tribute To Terje Rypdal Vol. 2. On August the ‘23rd’ 2017, Norwegian composer, bandleader, guitarist and sonic pioneer Terje Rypdal celebrated his seventieth birthday. That day, there was much to celebrate as Terje Rypdal looked back on a long and illustrious career that had spanned six decades and fifty-five years. Still, Terje Rypdal was one of the leading lights of the Norwegian music scene, and his music was as relevant as it had ever been, and continued to influence a new generation of musicians. This had been the case throughout his career, with several generations of musicians citing Terje Rypdal as an inspiration. Some of these musicians were happy to appear on Sky Music: A Tribute To Terje Rypdal and Sky Music: A Tribute To Terje Rypdal Vol. 2 which were recently released by Rune Grammofon and celebrate the life and music of Terje Rypdal, as he celebrated his seventieth birthday and over fifty years making music. The release of two tribute albums was a fitting way to celebrate the career of Terje Rypdal, and was the idea of American experimental guitarist Henry Kaiser, who is a lifelong Terje Rypdal fan. He came up with the idea of recording a Terje Rypdal tribute album and soon, the idea had snowballed. Before long, an all-star Rune Grammofon band that featured the great and good of Scandinavian music had been agreed to take part in the project. They came from far and wide to take part in the recording of the album. As the session began, the Norwegian musicians were joined by a musicians from Sweden and Finland. There was even a remote contribution from Tokyo during the sessions that were meant to yield one album. However, there was so much material that Sky Music: A Tribute To Terje Rypdal was joined by Sky Music: A Tribute To Terje Rypdal Vol. 2. The all-star band and Rune Grammofon were determined to celebrate the life and career of Terje Rypdal, who has lived and breathed music all his life. Terje Rypdal was born into a musical family in Oslo, Norway, on August the ‘23rd’ 1947. His father was a composer and orchestra leader, and the young Terje Rypdal studied classical piano and trumpet. However, this changed when Terje Rypdal became a teenager and discovered the guitar. This was the start of a lifelong love affair with guitar, which was the instrument that he would make a name playing. However, the first band that Terje Rypdal joined was the rock band The Vanguards. By then, Terje Rypdal’s guitar playing was influenced by Hank Marvin of The Shadows. In 1965, The Vanguards released their debut album Hjemme Igjen. By then, Terje Rypdal was just eighteen, but already was regarded as a prodigious talent. That was apparent on Hjemme Igjen, and The Vanguards’ 1966 sophomore album Phnooole. However, Phnooole was the last Vanguards album to feature Terje Rypdal until 1980. While Terje Rypdal was already a talented and prodigious musician, he decided to study music at first Oslo University, and then Oslo Conservatory. During his studies, Terje Rypdal blossomed as a musician, and in 1968 he decided to change direction musically. After much thought, he came to the conclusion that it was time to turn his back on rock music, and turn his attention to jazz. Later in 1968, Terje Rypdal released his debut album Bleak House which saw Terje Rypdal fuse elements of avant-garde, fusion and post bop, during what was in inventive debut album. Despite Bleak House being well received by critics, Terje Rypdal decided to join Jan Garbarek’s band later in 1968. Playing alongside the Norwegian jazz saxophonist was the next part of Terje Rypdal’s musical education. So was joining a band led by Lester Bowie. In 1969, Terje Rypdal was asked to join a band led by Lester Bowie at the Baden-Baden Free Jazz Meeting in 1969, in Germany. Lester Bowie’s band had been booked to play at a free jazz festival which took place between the “12th” and “14th” December 1969. The band featured around twenty musicians from Britain, Europe and America which was conducted by Lester Bowie. One of the compositions the band played was Terje Rypdal’s Ved Soerevatn, where Lester Bowie’s band were transformed into The Terje Rypdal Group. They unleashed another breathtaking and innovative performance which was being captured for a live album. After the performance by Lester Bowie’s band at Baden-Baden Free Jazz Meeting in 1969, music industry insiders started to talk about the Norwegian guitarist Terje Rypdal. This talk continued in 1970 when Gittin’ to Know Y’All was released and showcased the combined talents of Lester Bowie’s band. One of the highlights of Gittin’ to Know Y’All was The Terje Rypdal Group’s performance of Ved Soerevatn. For many record buyers, this was the first they had heard of Terje Rypdal. It certainly wouldn’t be the last. Following his performance at the free jazz festival, Terje Rypdal rejoined Jan Garbarek’s band, for the rest of 1969. He was part of the Jan Garbarek Quartet when they recorded Afric Pepperbird which was released by ECM Records in 1970. This was the first of many albums released by ECM Records that would feature Terje Rypdal. After a couple of years working with Jan Garbarek’s band, Terje Rypdal joined American jazz pianist George Russell’s sextet and then his orchestra. Terje Rypdal played on three groundbreaking albums released by various George Russell combos during 1971. This included Electronic Sonata For Souls Loved By Nature, The Essence Of George Russell and George Russell Presents The Esoteric Circle. However, 1971 was also an important year for Terje Rypdal. In 1971, Terje Rypdal released his eponymous sophomore album on Manfred Berlin-based ECM Records. Little did Manfred Eicher realise that five decades later Terje Rypdal would still be releasing albums on ECM Records. By 2013, Terje Rypdal had released over twenty albums for ECM Records, including solo albums and collaborations. However, much had changed by 2013, including the music that Terje Rypdal was making. Forty-five years after releasing his debut album Bleak House in 1968, Terje Rypdal was a musical chameleon, who constantly reinvented the music he was making. This ensured that his music remained relevant. That was certainly the case, and had been throughout his solo career. Away from his solo career, the great and good of music have been keen to work with Terje Rypdal over the past six decades. In the early days, Terje Rypdal worked as a sideman, but with his star in the ascendancy he became a guest artist, and has collaborated with many top musicians. 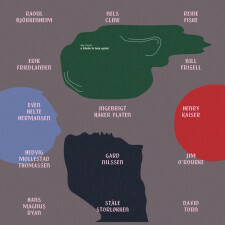 This includes Jan Erik Vold, John Surman, Michael Mantler, Edward Vesala, Barre Phillips, Ketil Bjørnstad, Tomasz Stańko, Michael Galasso and Paolo Vinaccia. , Terje Rypdal has also found time to work with Karin Krog, Torbjørn Sunde, Palle Mikkelborg, Helen Davis and Birgitte Stærnes. They’re all keen to work with such a talented, inventive and versatile musician as Terje Rypdal. Over the last six decades, veteran virtuoso guitarist Terje Rypdal had released an eclectic selection of albums ranging from avant-garde, free jazz, fusion, surf and third stream which is a marriage of classical and jazz. These albums featured music that wasn’t just ambitious, groundbreaking and innovative, but also inspired and influenced several generation of musicians in Norway, and further afield. This became apparent when American experimental guitarist Henry Kaiser, who is a lifelong Terje Rypdal fan, came up with the idea of recording a tribute album. Little did Henry Kaiser know how many musicians would want to take part in the tribute to Terje Rypdal, and play their part in an album that paid homage to one of the leading lights of the Norwegian music scene and a musician who had inspired and influenced them. This included Elephant9 and Supersilent keyboardist Ståle Storløkken who has collaborated with Terje Rypdal for many years. He was joined by Bushman’s Revenge drummer Gard Nilssen, Scorch Trio and The Thing bassist Ingebrigt Håker Flaten and guitarists Hedvig Mollestad Thomassen and Even Helte Hermansen of Bushman’s Revenge. They were joined by Finnish guitarist Raoul Björkenheim of Scorch Trio and Swedish guitarist Reine Fiske of Dungen. Motorpsycho’s guitarist Hans Magnus Ryan joined the sessions and added guitar parts, while Jim O’ Rourke collaborated remotely from his Tokyo studio adding his flawless contributions to Sunrise. When it came to adding the solos, Bill Frisell and David Torn stepped up. So too did Nels Cline who was accompanied by cellist Erik Friedlander. Just like the rest of the musicians they wanted to play to play their part in the recording of the Terje Rypdal tribute album. Taking charge of production was Henry Kaiser, who had come up with idea of the Terje Rypdal tribute album. During the sessions, a total of eleven tracks were recorded, by groups and solo artists. This includes Ørnen which Terje Rypdal originally recorded in 1985. Here, it’s reinvented by American jazz guitarist and composer Bill Frisell, whose responsible for a ruminative, country-tinged cover. It features an understated arrangement while Bill Frisell’s playing is imaginative and intricate as his crystalline guitar is responsible for a dreamy, thoughtful cover that invites reflection. Nels Cline covers the title-track to Terje Rypdal’s 1974 album What Comes After. It’s an understated and sometimes spacious track where Erik Friedlander wistful and sweeping cello accompanies Nels Cline’s shimmering, glistening and weeping guitar. They’re augmented by Nels Cline’s bass which plays a supporting role. However, the guitar and cello are like a musical yin and yang during this beautiful, ruminative and poignant cover, that really does pose the question What Comes After? David Torn covers Avskjed a track from Terje Rypdal’s 1980 album Descendre. 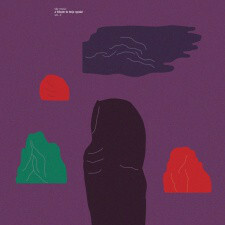 Initially, it’s a mesmeric sounding as a crystalline guitar and electronics combine as bells chime. Soon, washes of shimmering, ethereal and bristling guitar take centre-stage as this beautiful, understated and spacious reinvention of Avskjed takes shape. Keyboardist Ståle Storløkken reinvents Dream Song/Into The Wilderness/Out Of This World and takes a less is more approach. The result is an ethereal and sometimes, almost minimalist and cinematic track with an ambient sound. Very different are the contributions by Sky Music who unleash a melodic, genre-melting fifteen-minute jam on Over Birkerot/Silver Bird Heads For The Sun, where free jazz, fusion and rock combine. Chaser is initially futuristic, before becoming a stomping rocky jam. Somehow, Sky Music raise their game on Warning: Electric Guitars where the rhythm section power the arrangement along while a guitar masterclass unfolds. Sometimes scorching, blistering rocky guitars do battle before the soar and sweep as if replicating the sound of violins. Other times, effects are deployed and guitars distort almost becoming dissonant during this inventive fifteen-minute, genre-melting opus where Sky Music fuse free jazz, rock and psychedelia. Sky Music then reach new heights on Tough Enough/Rolling Stone/Tough Enough where fittingly, the guitar takes centre-stage and steals the show. Sunrise is the last contribution from Sky Music and closes Sky Music: A Tribute To Terje Rypdal. Glistening, shimmering guitars and urgent drums are part of a cinematic and dramatic sounding track. However, Sky Music also enjoy the opportunity to improvise as the track heads in a new and unexpected direction. In doing so, this allows the all-star band to innovate and showcase their considerable skills. With the recording sessions over, Henry Kaiser worked with Rune Grammofon to ensure that Sky Music: A Tribute To Terje Rypdal was released to coincide with Terje Rypdal’s seventieth birthday. Given the amount of material that had been recorded, and deserved to be released, it was decided that Sky Music: A Tribute To Terje Rypdal would be two LP set and feature a CD version of the album. That was the plan…originally. Sky Music: A Tribute To Terje Rypdal Vol. 2. It turned out that there was more than enough music for the double album Sky Music: A Tribute To Terje Rypdal. There were two tracks that didn’t make it onto the Sky Music: A Tribute To Terje Rypdal, Icing and Filmore ’76, which is based on a 1978 live performance at Radiohuset Studios, in Stockholm. As Henry Kaiser and staff from Rune Grammofon listened to Icing and Filmore ’76 they realised that the tracks were too good to not to release. What to do? After some thought, it was decided to release Sky Music: A Tribute To Terje Rypdal Vol. 2 which featured Icing and Filmore ’76. Just like the nine tracks on Sky Music: A Tribute To Terje Rypdal, Icing and Filmore ’76 were recorded at Athletic Sound, in Halden Norway. Taking charge of production was Henry Kaiser while Dag Erik Johansen and Kai Andersen recorded and later mixed the album. This left Ken Lee to master Sky Music: A Tribute To Terje Rypdal Vol. 2 which features another two hard rocking, genre-melting jams from the all-star band. Once the two albums were mastered, Sky Music: A Tribute To Terje Rypdal and Sky Music: A Tribute To Terje Rypdal Vol. 2 were released by Rune Grammofon, and Henry Kaiser’s dream became a reality. He was a lifelong fan of Terje Rypdal, and came up with the idea of recording a tribute album. Little did he ever imagine that his idea would snowball, and it would eventually feature musicians from Norway, Sweden, Finland and America, with Jim O’Rourke contributing remotely from a studio in Tokyo, Japan. That was something that was the stuff of dreams when Terje Rypdal recorded his debut album Bleak House in 1968. By the time Sky Music: A Tribute To Terje Rypdal and Sky Music: A Tribute To Terje Rypdal Vol. 2 were recorded music had changed, and he was one of the elder statesman of Norwegian music. Terje Rypdal had influenced and inspired countless musicians, including guitarist Henry Kaiser who played on and produced Sky Music: A Tribute To Terje Rypdal and Sky Music: A Tribute To Terje Rypdal Vol. 2. Seeing the project through to fruition was a lot of work, but was worthwhile, as it allowed him to pay tribute to Terje Rypdal who was one of most talented and versatile jazz guitarists of his generation. Despite his considerable talent, Terje Rypdal is a modest and unassuming man, whose content to let his music do the talking. Terje Rypdal is held in the highest regard by all the musicians that he’s worked with over the past six decades. He’s regarded as a guitarist’s guitarist, which is one of the highest accolades bestowed on any musician by their contemporaries and peers. They know that Terje Rypdal is a cut above the majority of guitarists and at the drop of a hat can produce a spellbinding and inventive performance. The best way to describe Terje Rypdal is a sonic pioneer who has spent a lifetime making innovative, inventive and imaginative music. By the time Sky Music: A Tribute To Terje Rypdal and Sky Music: A Tribute To Terje Rypdal Vol. 2 were released had released over thirty solo albums and countless collaborations with the great and good of music. Sadly, despite being such a prolific recording artist, Terje Rypdal isn’t a household name. He should be, but talent alone doesn’t automatically guarantee commercial success and fame and fortune. Terje Rypdal is proof of that. Sadly, outside of his native Norway, Terje Rypdal has never quite received the credit, respect and recognition that his talent and music deserves. While Terje Rypdal has loyal following in American, Britain, Europe and Japan, his albums have never found a wider audience. Maybe the problem is that many record buyers don’t understand Terje Rypdal’s music? Many record buyers were fed a diet of lightweight, commercial pop, including the three chord pop of early Beatles records. They fail to understand anything more sophisticated than commercial pop, which at one point, came close to replacing religion as the modern-day equivalent of Karl Marx’s: “opium of the people.” Thankfully, commercial pop is no longer as popular as it once was, and a new generation of record buyers have a much more cultured musical palette. They’re willing to investigate and embrace new music, including the music on Sky Music: A Tribute To Terje Rypdal and Sky Music: A Tribute To Terje Rypdal Vol. 2. Maybe it will be a gateway to Terje Rypdal’s music, and a new audience will discover his eclectic back-catalogue? One can only hope. ← SUN RA-SEVEN OF THE BEST REISSUES OF 2017. Derek, great write-up. I bought the first album (so far) and I love it! Glad that you like the review and ky Music: A Tribute To Terje Rypdal. If you see a copy of Sky Music: A Tribute To Terje Rypdal Vol. 2 it’s well worth getting a copy. Especially as copies of both volumes are already becoming hard to find. I enjoy all the Rune Grammofon releases, and like Hubro Music, they’ve been releasing some amazing music in the last few years. Long may it continue.